Come shop our Buy One Get One Free Book Fair! ¡Venga a comprar en nuestra Feria de Libros, compre uno y obtenga uno gratis! Ms. Canales is our wonderful 3rd grade teacher. Students in 4th and 5th grade participated in this year's Martin Luther King March and Celebration. T. A. 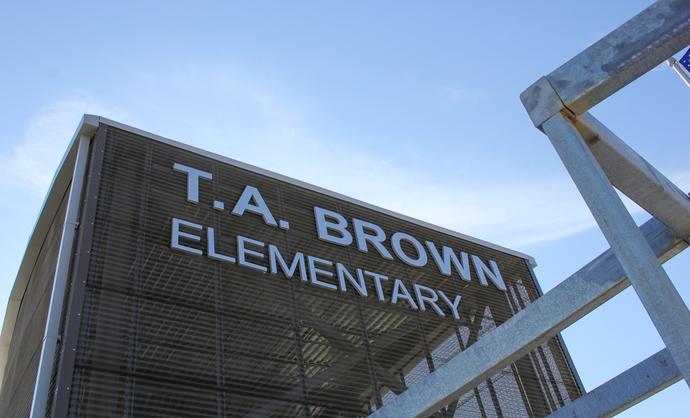 Brown Elementary is a No Place For Hate school and engages in activities such as the MLK March to promote a welcoming, safe, and thought provoking place to learn. All are welcome here at T.A. Brown. T.A. Brown broke ground on November 30, 2018. Opening date is set for January 2020. We are one step closer to breaking ground at 505 W. Anderson Ln. Join us on our journey as we build our new campus. 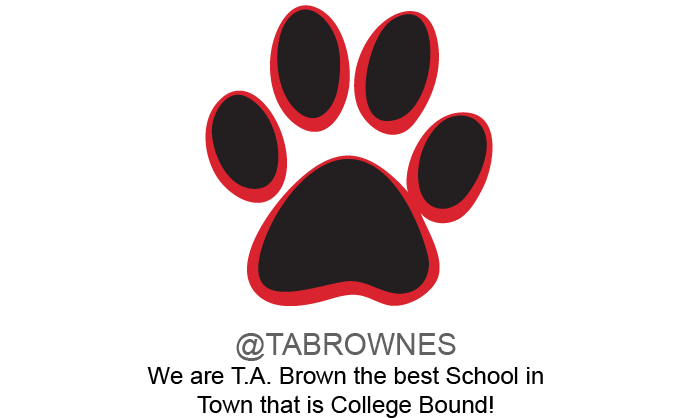 Support T.A. Brown by purchasing a brick for $20.00 from the original 1957 building. T.A. 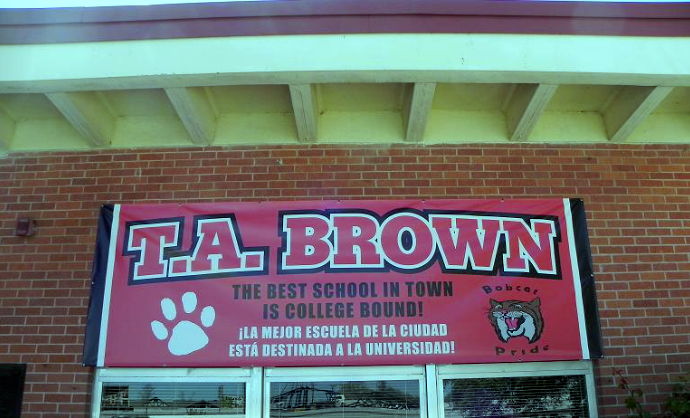 Brown Elementary school is proud of the community involvement which supports all students. Through the support and volunteer efforts of our Commununity sponsors, our campus has been able to offer a great variety of programming to our students and provide the necessary support to help them succeed. Thank you to everyone for their time and all they have done for our community. We would like to thank the following organizations for their continued support to help our student social needs: Texas Association of School Boards, Gethsemane Lutheran Church, Neighborhood Longhorn program, Highland Neighborhood Association, AT&T, Target, Seton, Travis County Constables Office Pct.5, Side by Side, Texas Higher Education Coordinating Board, Georgetown 4-H , InKind, Inc., St. David’s, and North Austin Optimist.